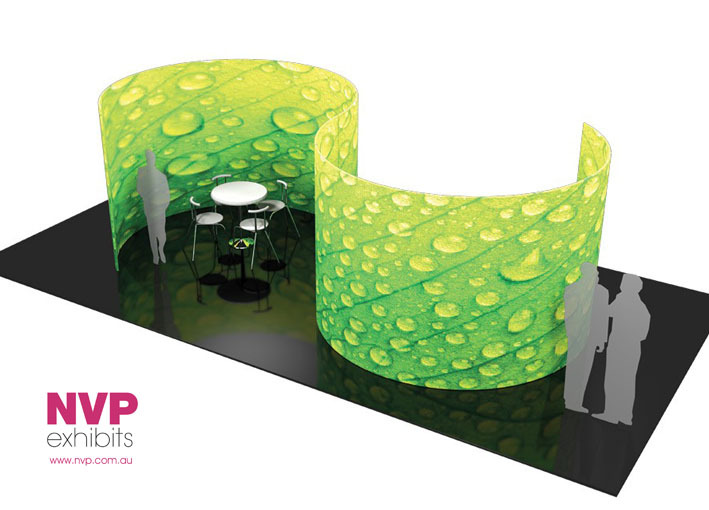 The Serpentine is a tension fabric display that creats a semi-private meeting area within a trade show exhibit, special event, or in an interior environment. Tension fabric conference walls are lightweight, stylish solutions that can satisfy your meeting space needs. Perfect as cost effective island display stand which provids tool free installation with easy logistics. Island display stand for 6m by 6m spaces or larger.